This recently completed project in Grays, Thurrock comprised of a complete electrical installation in a domestic bathroom suite. 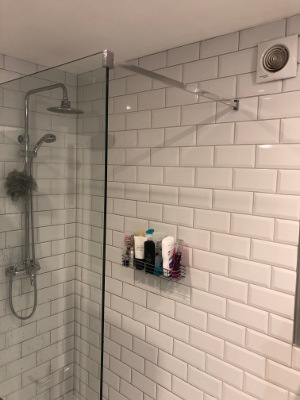 Included in this installation was the fitting of bathroom fans, ceiling lighting, cupboard lighting and the connecting of an electric shower. 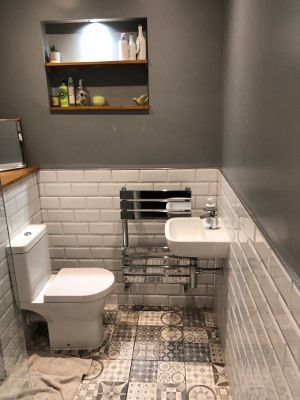 All of the work completed within this bathroom in Grays was completed to a high finish and was completed with careful liaising with the other trademen employed to complete the refurbishment such as the plumbers and tilers. Leigh Electrical have over 50 years experience of completing bathroom related electrical work in Grays and Thurrock. 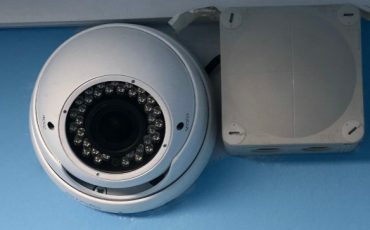 This experience enables us to help organise your bathroom refurbishments as we can provide detailed descriptions of where we need to run the appropriate cabling well in advance and in conjunction with the other trades to enable a seamless installation. The finish that we apply to all of our work is second to none and a selection of our previous works can be viewed right here on our projects page. 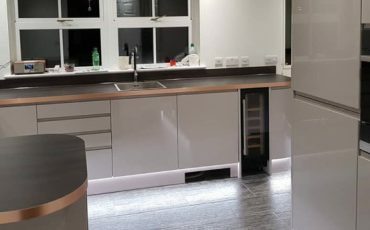 The amount of bathroom electrical projects that Leigh Electrical have undertaken due to word of mouth recommendations is testament to the quality of work that we provide. We are capable of performing all manner of bathrrom and in fact, all other domestic electrical installations. To speak to our team of NICEIC Electricians regarding your bathroom electrical installation in Grays, Thurrock, please call us directly on 01702 873350. 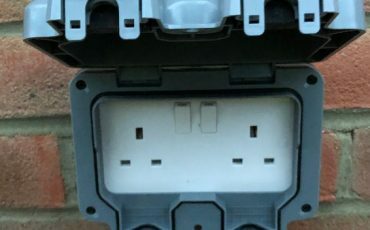 Why Use Leigh Electrical For Grays Bathroom Electrical Work? Leigh Electrical operate 7 days a week in the Grays area and will gladly provide, free no obligation quotes at times that suit our customers. We can gladly perform bathroom electrical installations in the Grays area during evenings and even at night if required. All of our work is covered under the NICEIC Platinum Promise 5 year Guarantee, this is offered by the NICEIC to all customers of NICEIC members and covers the electrical work completed for a full 5 years following completion. For more information and to arrange a free quote call us directly on 01702 873350. Complete bathroom electrical installation in Grays, Thurrock. To learn more about this service please call us directly on 01702 873350.